Posted By:Unknown | At:1:51 PM Be the first to comment! A feud over the estate of Betty Shabazz, the widow of Malcolm X, has created divisions among the couple's six daughters and has resulted in something none of them had intended: keeping part of their father's legacy from the public. 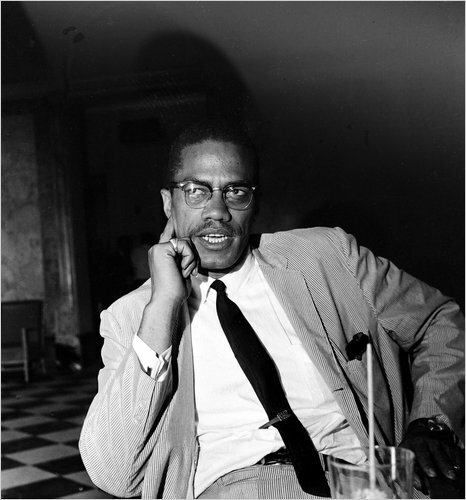 As the dispute drags on in Westchester County Surrogate's Court, efforts to publish the works have been thwarted by the daughters' bickering; all must sign off on any plan to sell and release the material, which includes four journals that Malcolm X kept during trips to Africa and the Middle East in 1964, a year before his assassination. Dr. Shabazz died in 1997, three weeks after suffering extensive burns in a house fire set by one of her grandsons. No will was found, even though some believed that one had existed. The matter of her estate moved to Surrogate's Court, where proceedings often take years. But the Shabazz family's fight has gone on for more than a decade, prolonged by disputes over what to do with the potentially valuable relics of the parents, as well as objections to the various accountings of the estate's assets. A lawyer appointed by the Westchester court to represent one of the daughters, Malikah Shabazz, has accused the two daughters assigned to administer the estate, Ilyasah and Malaak Shabazz, and their former lawyer of spending estate money on themselves while allowing property and other estate assets to languish and a tax bill to skyrocket. Their failure to account for money and property in the estate has made it difficult to work out the specifics of any licensing pacts, said Malikah Shabazz's lawyer, Lori Anne Douglass. Dr. Shabazz "worked very hard to try to leave her daughters in a better position," Ms. Douglass said. "They did not get their inheritance. This estate made money for years. What happened?" But L. Londell McMillan, the current lawyer for Ilyasah and Malaak Shabazz, blamed Ms. Douglass for prolonging the estate dispute and delaying a publishing deal. Mr. McMillan said she "has poisoned the well and attempted to prevent the matter from closing and Malikah from communicating and cooperating." It is nothing new for siblings to bicker over their parents' estate or any number of other issues. But the Shabazz family has been faced with unusual challenges.